Last week we talked about compassion fatigue – secondary traumatic stress disorder – and touched briefly on how it plays into mental resiliency. This week we are going to talk all about resilience, and the difference between people with resilient minds – those who bounce back from emotional adversity quickly – and people with fragile minds – those who take an unusually long time to recover from emotional setbacks and allow them to interfere with their daily lives. Before we go any further, it’s important that you don’t think of all people as being either resilient or fragile minded. Instead, just think of those as the two extreme ends of the spectrum. A lot of people fall somewhere in the middle, and people can even fluctuate from being resilient in one type of situation to fragile in another. However, unless people make a conscious effort to become more or less resilient, they typically maintain the same level of resilience for all types of situations, no matter how trivial or significant they are. For example, if a person who is not very resilient lets a small argument with a coworker ruin their whole day, it is likely that an actual traumatic event will have the same affect on them but on a much larger scale, proportionate to the scale of the trauma. Conversely, a very resilient person who routinely shrugs off insignificant setbacks will likely recover from a truly traumatic event more quickly than average. Basically, being resilient comes down to how well you consistently cope with adversity. At this point it may sound like it is ideal to be as resilient as possible, but that is somewhat of a false intuition. Being too resilient, or hyper-resilient, has its drawbacks. For example, people who are resilient to an abnormally high degree have a hard time feeling empathy and exhibiting compassion for others. In the upcoming parts to this series we’re going to talk about ways you can make your mind more resilient to combat compassion fatigue, but it’s important that you know making yourself too resilient could actually exacerbate the symptoms of compassion fatigue. You may be wondering why some people seem to be naturally resilient while others are more fragile. Modern science has revealed the explanation for this, and it’s actually rather simple. People who are very resilient have a strong connection between the signals that pass from their left-prefrontal cortex – associated with logic and reasoning — to their amygdala – associated with fear and aggression. 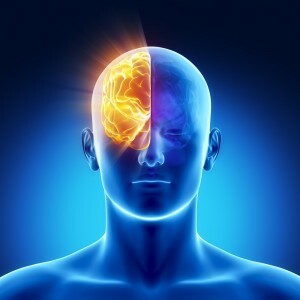 On the other end of the spectrum, people who have a weak connection between their prefrontal cortex and amygdala are less resilient. So, making yourself more or less resilient is really just a matter of strengthening or weakening the connection between your left-prefrontal cortex and your amygdala. In the next part of this series I’m going to begin explaining how you can use simple meditation exercises to accomplish this so that you can adjust your level of resilience when you need to. Davidson, R. J.; Begley, S. (2012) The Emotional Life of Your Brain. New York, NY: Penguin Group. Randall C. O’Reilly (2010) The What and How of Prefrontal Cortical Organization. ← Resiliency Training (Part 1): What is Compassion Fatigue?